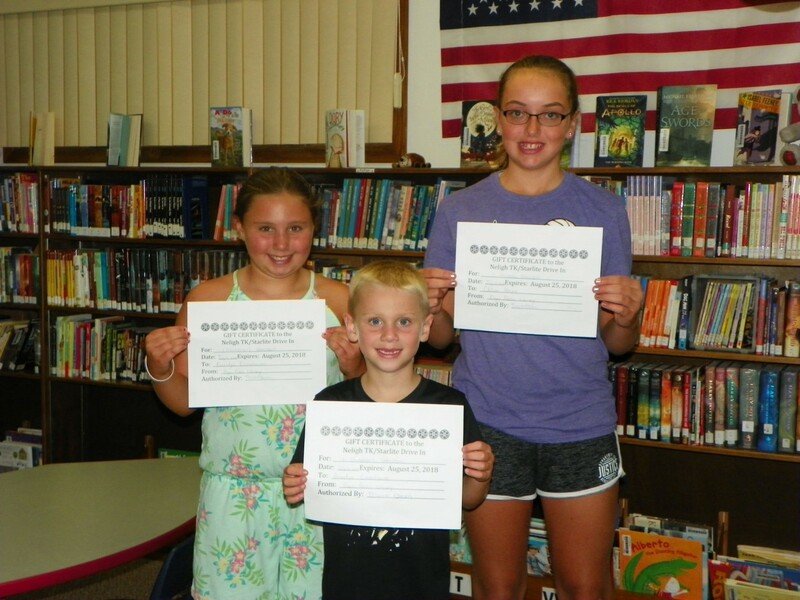 Top readers for the 2018 Elgin Public Library’s summer reading program are (from left to right) Kierstyn Eisenhauer, Braxtyn Eisenhauer children of Randy and Krista Eisenhauer and Chloe Henn daughter of Stacy and Marty Henn. Congratulations on a job well done! The past few weeks have been a joy. We had the opportunity to spend time with some remarkable kids during Storytime and Activity time. 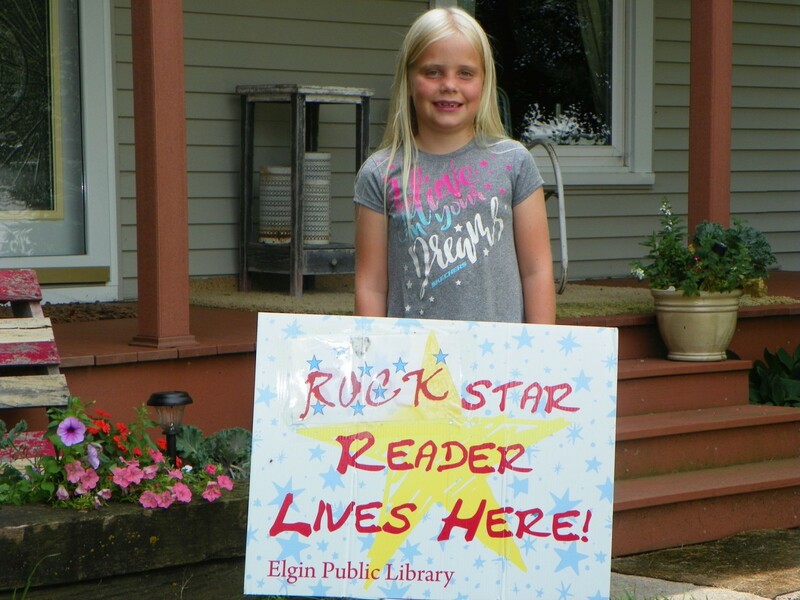 Our theme was Libraries Rock. 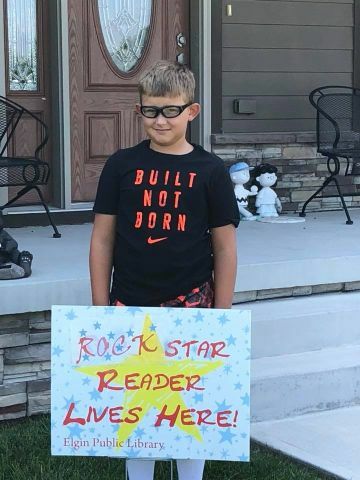 Our Summer Readers rock, too. Thank you to the parents for sending your kids to the library. We had so much fun. 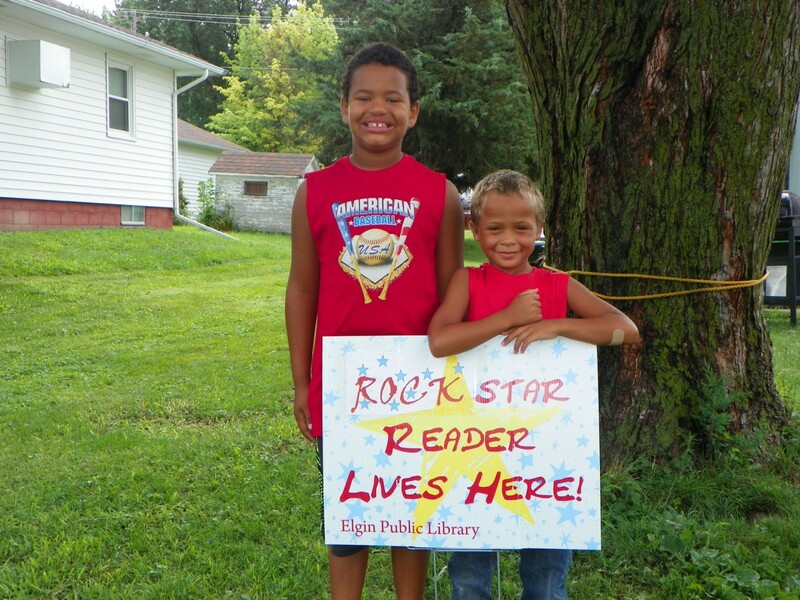 To wrap up our Summer Reading Program we hosted a pool party for those who participated in our reading challenge. They also received a prize bag full of items purchased by the library as well as items donated by local businesses. 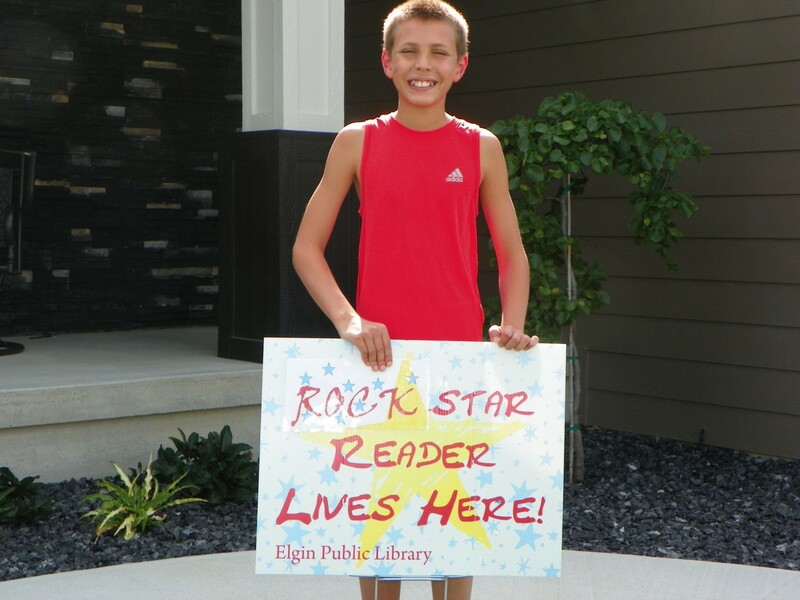 Thank you to the Coffeehouse, Dean’s Market, TK-Starlite Drive-In, and Kim Zwingman and the Elgin Community Foundation for the t-shirts. We would also like to thank Cheli Childers for providing snacks for Storytime. Donmetrious and Trey Dredge grandsons of Laurie Krievel. Congratulations! 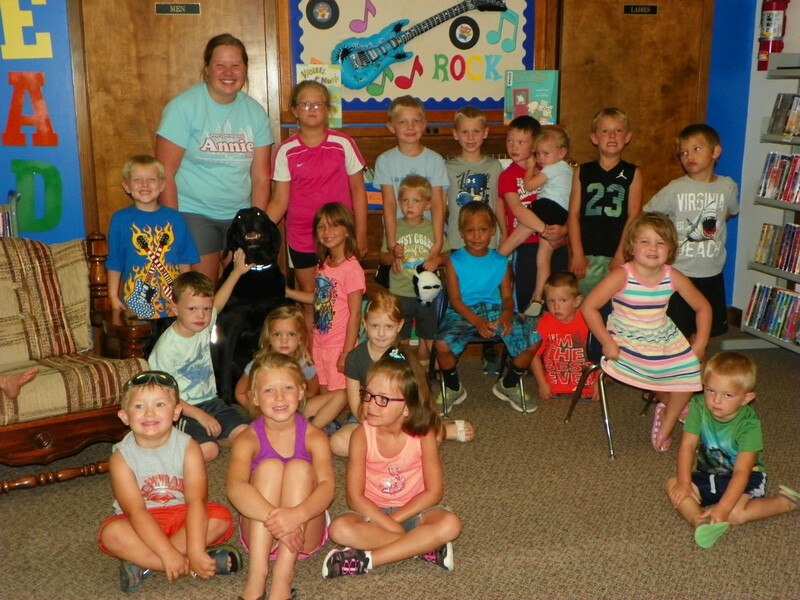 With the help of her dog, Buddy, Lauren Seier read the book, Groovy Joe and Dance Party Countdown. The children also had a chance to sing some songs using the Karaoke machine. Then we all paraded around The Homestead entertaining the people with some musical instruments. Thank you Sloane for letting us borrow your Karaoke machine. We all had fun. Austin Hinkle, son of Luke and Jessica Hinkle.